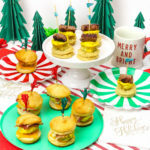 I don’t know about you, but I love making fun little festive treats for us to munch on during our holiday parties and on Christmas day. 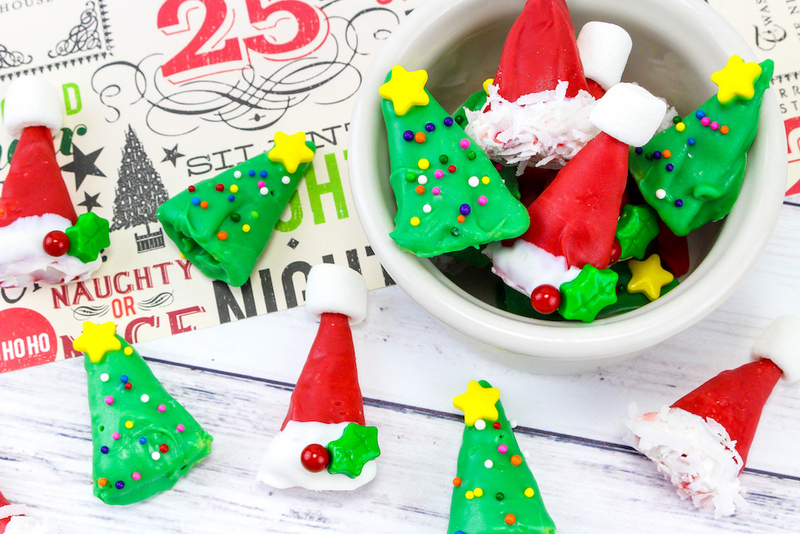 Finger foods are the best and nothing is better than some super cute easy to make Mini Christmas Tree & Santa Hat Treats! Who doesn’t love a treat you can eat a handful of at a time! 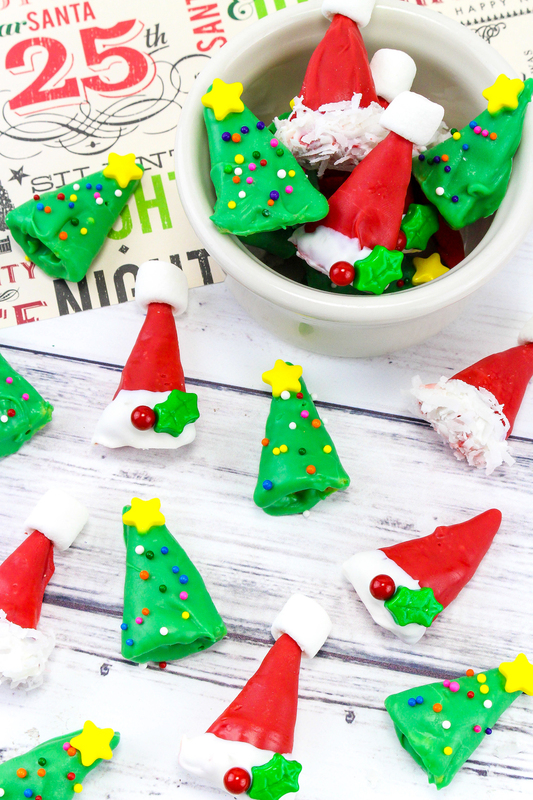 These adorable little holiday treats can be made very quickly and are a perfect no-bake option for those holiday parties you may have to bring something to. 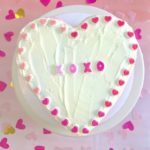 Here is how to make them! Yes they are made from Bugles! First you melt the green chocolate candy melts according to package directions. 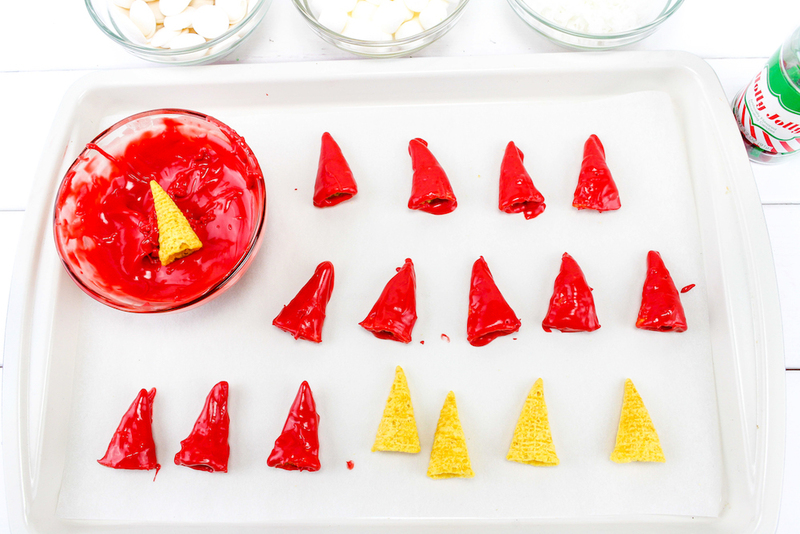 Dip the bugles and place on a parchment lined cookie sheet. 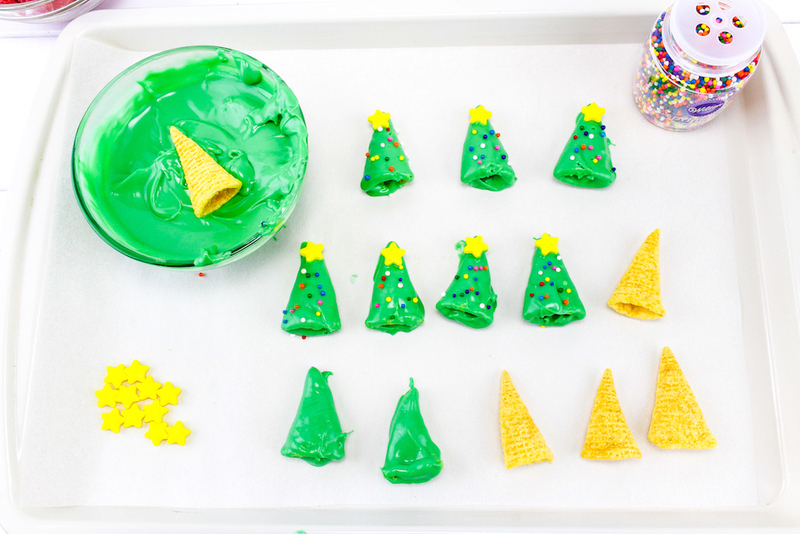 Sprinkle immediately with round sprinkles and add one star on the point of each bugle. Let Dry. 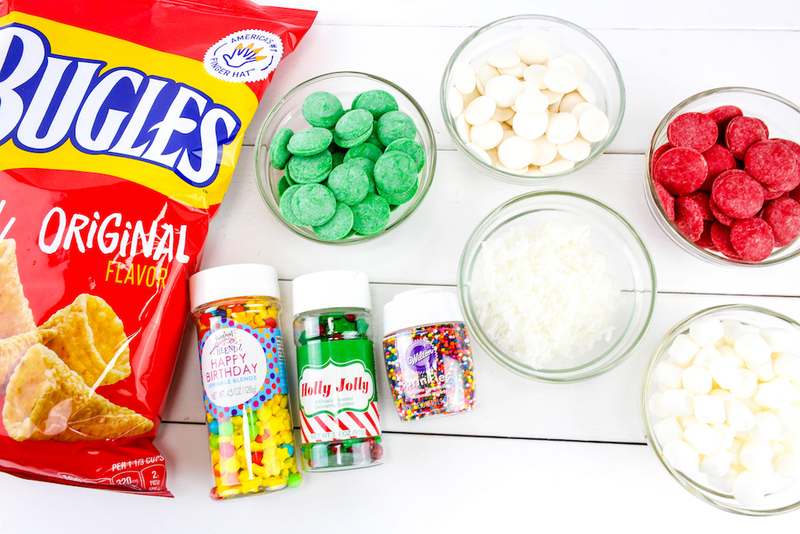 Melt the Red and White candy melts according to package directions. 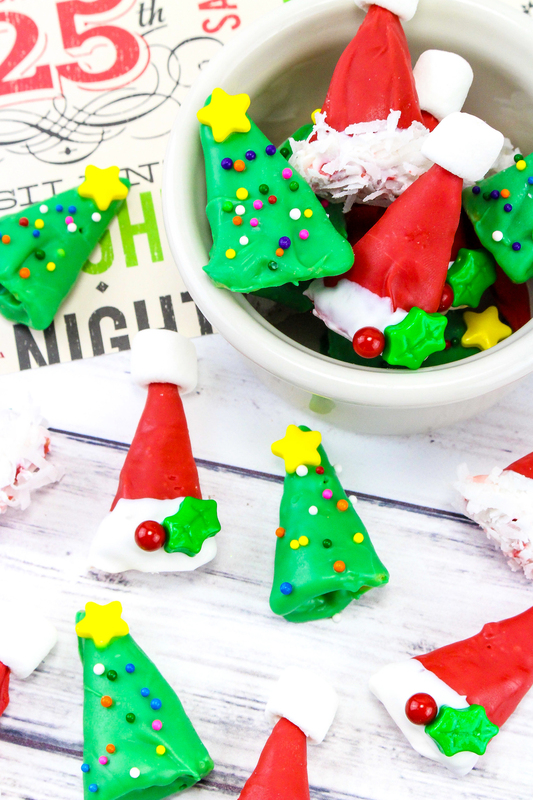 Dip bugles in the red chocolate and lay on a parchment lined cookie sheet. 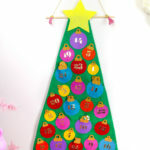 Let those dry completely before moving on to the next step. 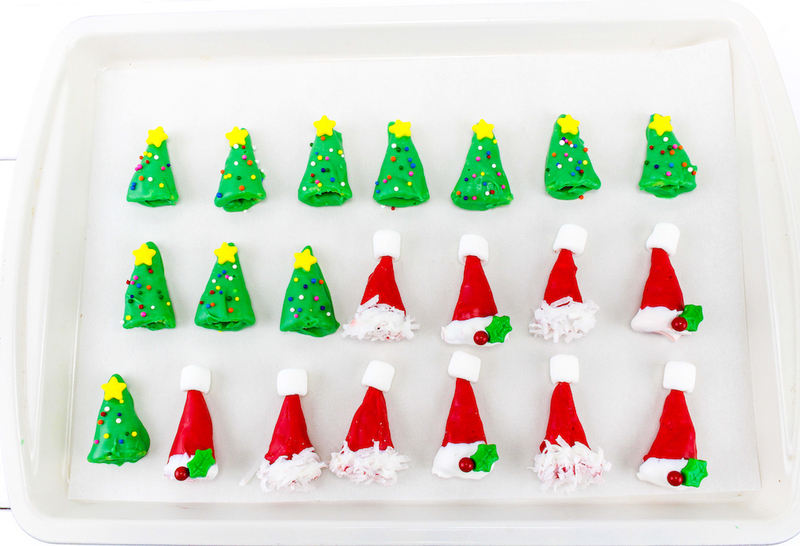 Once those are dried, dip the bottom of the bugle in white chocolate and either add coconut or place a holly candy on the corner. Let Dry. 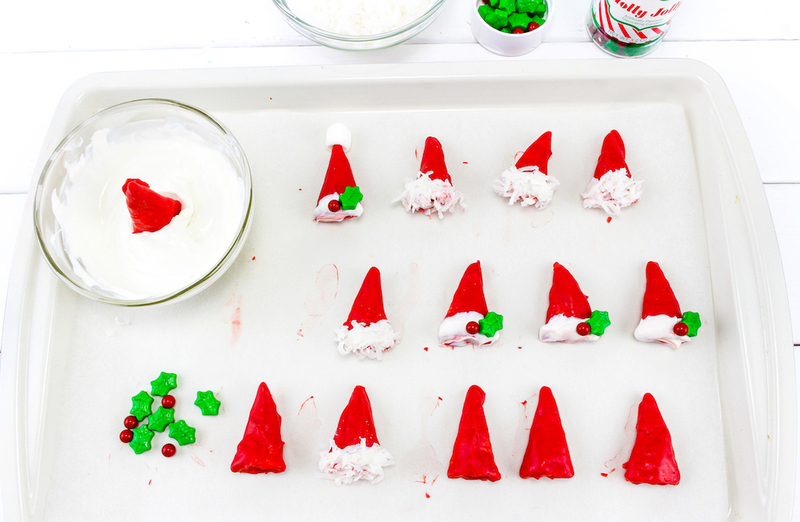 Lastly, place one marshmallow on the point of each Santa hat bugle. Put them in a bowl or tray and serve! 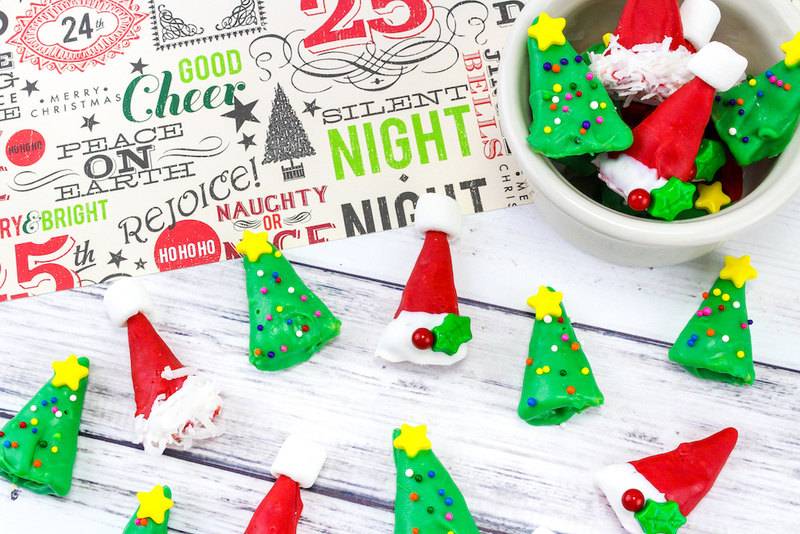 This is such a fun treat to make for Christmas! 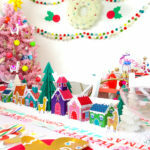 You can find more festive DIY’s and Recipes HERE!